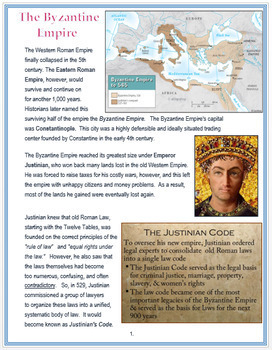 The article explains the Byzantine Empire from the founding of Constantinople to the Empire's demise. 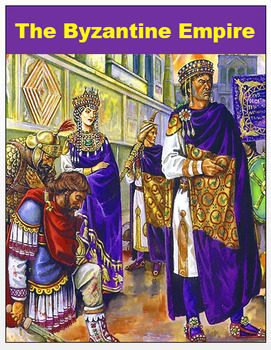 It includes Emperor Justinian's conquests, Justinian's Code, the Hagia Sophia, and Theodora's influence in Justinian's accomplishments. 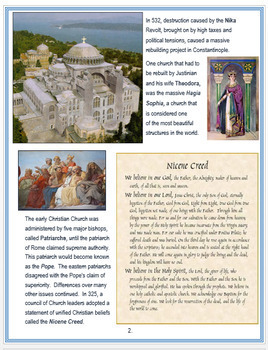 It also includes the Nicene Creed, the Great Schism, and the spread of Byzantine culture. Activities and Common Core Aligned DBQ Assessments included. 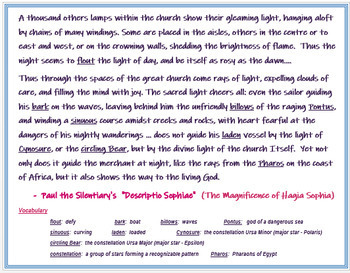 - Primary Source: Paul the Silentiary - "Descriptio Sophiae"
- Reflective Writing Activity: "3-2-1"
- Graphic Organizer: "The Byzantine Empire: Four Takeaways"